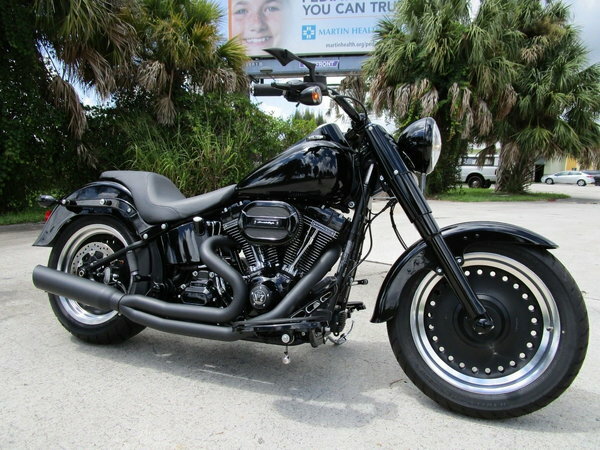 If you love the blacked out look and some serious American horsepower than you will enjoy this absolutely brand new condition 2017 Harley Davidson Fat Boy S. This Special Edition model gives you the Screamin Eagle 110cui/1802 cc motor with everything completely blacked out. This gorgeous American Muscle also comes with some very nice and very pricey upgrades which will give you the opportunity to just get on and ride! Did I mention that this bike has over $2500 in upgrades and only 187 miles?